Tel: +41 (0)79 690 9799. Tel: +41 (0)27 771 6222. For off piste skiing and guiding. Tel: +44 (0) 20 8123 9483. Switzerland’s Four Valleys Ski area consists of four inter-linked ski resorts; Verbier, Thyon, Veysonnaz and Nendaz. Of the four, Verbier has the best skiing for experts and advanced skiers, a decent beginners area, and new intermediate pistes. Any ski area that is a big as the Four Valleys has something to offer every level of skier. The Savoleyres ski area, 2354m, is the smallest of the Verbier ski areas, it doesn’t get too crowded, has plenty of sunshine and the lift queues are usual quite short. During the early season, skiing back to Verbier is relatively easy, however late season the snow coverage can be a bit sketchy, requiring most skiers to return on the gondola. The main Verbier area is on the north facing slopes with the main lifts rising to Les Ruinettes, 2200m and Attelas, 2727m, this section can get crowded at the lower levels, especially on the end of day return trip. Advanced beginners will prefer the La Thomas/Savoleyres area just above Verbier. The slopes on this side of the mountain tend to be wide-open and well-groomed. There are also many gentler slopes across the valley at Mayens-de-Bruson. Over looking Verbier is La Chaux, 2260m, and its wide range easy red and blue pistes, easily reached from Verbier, by taking the Medan gondola followed by the “La Chaux Express”. 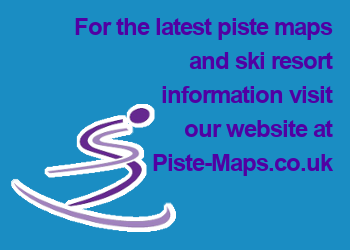 There are some great top to bottom Pistes, down to towns such as Nendaz, Veysonnaz, or Les Collons. All are long, well groomed pistes with good pitch. However, make sure to be back at Tortin lift before it closes at the end of the day, or you could end up on the wrong side of the mountain ridge, with a long bus ride back to Verbier. A great place for intermediate skiing is the Bruson Ski area, currently connected with the rest of the Four Valleys by a 15-minute bus trip, on the yellow postal bus (included with your ski pass), from the lower station of the Châble Cable Car. However the permission has been granted for an 8 seat gondola connecting Le Châble to Bruson expected to be completed for the 2013/14 ski season. A long time locals favourite the pistes in Bruson are usually quieter than most. On powder days this is a wonderful spot to practice turns and perfect technique and most of the terrain is tree lined, which is great for a visibility on bad weather days. Check out La Ruinette Café, in La Châble, for an après ski beer! Verbier has a fantastic reputation for advanced and expert skiing. The piste down from the Mont-Fort Gondola, 3330m, is very steep and very mogully and amongst the most difficult marked descents from a gondola station in the Alps! The descents to Tortin, from either Col des Gentianes, 2950m, or Chassoure, 2740m, are also renowned for their steepness. All of the areas beneath Mont-Fort and Mont-Gelé above Verbier; Attelas, La Chaux, Les Ruinettes, offer challenging runs for experts as well as good terrain for advanced and intermediate skiers. From the Attelas upper station, the Mont-Gelé Gondola rises to the Mont-Gelé Glacier, 3023m, which can suffer from poor weather; From the summit there are two official itinerary pistes, one down the south face to La Chaux, and one off the back which eventually ends in Tortin. If you like carving head to Les Attelas early in the morning and enjoy the wide open runs down to Les Ruinettes and Verbier. Perfectly groomed, they allow you to express your talent in big turns. Think you're an expert? Tortin or Mont-Fort will sort the men from the boys. Steepness, moguls, level difference: these slopes have it all. Make the most of the afternoon sun by skiing the pistes in the La Chaux area after lunch. With its slopes facing south with the Combins Massiv as a background it couldn't be more perfect to top up your goggle mark tan. And if the weather closes in the Savoleyres or Bruson slopes can still offer good visibility. The Four Valleys offer almost limitless off piste skiing possibilities. Many of the formerly black pistes have been redefined as itineraries. They are not groomed or marked, but have so much traffic, they may as well have been marked by the resort as they once were. A guide is highly recommended in this area to get the most out of the mountain.